It is impossible to compare one air show with another. In truth it is a question of one’s preferences and interests but there is no doubt that the 2010 Farnborough offering was one of the best. This year it was dominated by Boeing, who introduced the brand new 787 Dreamliner to an international audience, and persuaded the US Air Force to make a daily flypast with a B52. The B52 first flew in 1952. 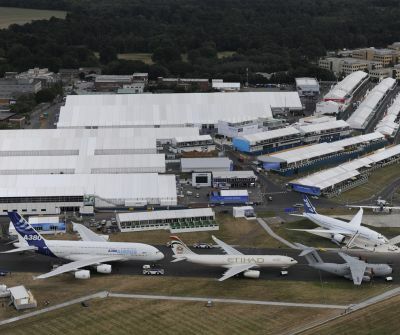 Paris last year was wet and lacked sparkle, Farnborough was for most of the week glorious, the airfield itself, with new structures all around, looking particularly good. This year's event saw good engagement from decision-makers with 11 UK Government Ministers, plus 70 delegations from 44 countries, in attendance. There were over 120,000 visitors over the four trade days. Orders for the show were put at £31bn. The peak boom year was 2008 when the show saw £57bn of orders. In 2006 the figures were much the same as this year. 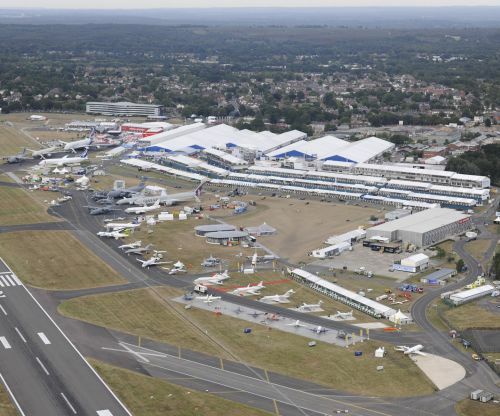 The show also contributes about £20m to the local economy around Farnborough. Such was the mountain of news at the show that affects commercial aviation and business travel AERBT is only able to review significant announcements. 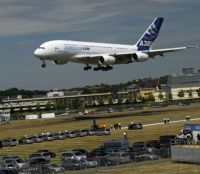 Airbus announced commitments for 255 aircraft, signalling a clear upturn in the aviation industry. Whilst Boeing lead with orders the A380 was probably the outstanding aircraft at Farnborough this year, both on the ground and in the air. The firm orders at the show came from Aeroflot for 11 A330-300s, Air Lease Corporation for 51 A320 series; Garuda Indonesia for six A330-200s ; GECAS for 60 A320s; and Germania for five A319s. The MoU commitments included: ten A330-200s plus 15 A350 XWBs from Hong Kong Airlines; 40 A320s plus ten A321s from LAN Chile; seven A330-300s from Thai Airways International and 40 A320s from Virgin America. Antonov confirmed that the Russian leasing company Ilyushin Finance is to buy ten Antonov An-158 jetliners with an option on ten more. Deliveries will commence in 2011 and run through to 2013. The deal is the first for the aircraft, which is a stretched 99-seat variant of the 85-passenger An-148 regional jet. The 148 now has been in service just over one year with six delivered and an order book standing at around 220. Experienced travellers flying on Russian domestic services will recognise the aircraft as a twin-engined BAe/Avro 146. ATR, just like Bombardier, continues to sell a steady number of its turboprop model and has announced orders for 42 new aircraft and 72 options for the first half of this year. Highlight of its Farnborough participation was a deal with Brazilian carrier Azul for 20 ATR 72-600s and a ten- aircraft order placed by Air Lease, the new venture of former ILFC CEO Steven Udvar-Hazy. Orders were also announced with Swedish regional Golden Air for a pair of ATR 72-500s, bringing its fleet up to five, and for long time customer Lao Airlines, also two 500s. Boeing took centre stage for the first two days with the Dreamliner and aircraft orders. The order book was impressive. Air Austral two 777-200LR, Air Lease Corporation 54 737-800, American Airlines 35 737-800, Avolon 12 737-800, Azerbaijan Airlines one 767-300ER and two 767 Freighters, Emirates 30 777-300ER, GECAS 40 737-800, Norwegian Air Shuttle 15 737-800, OKAY Airways ten 737-800, Qatar two 777-200LR, Royal Jordanian three 787 and finally the British taxpayer (84%) in the form of Royal Bank of Scotland’s (RBS) aircraft leasing arm for 43 737-800. Bombardier had a generally quiet show, with the only airline order announced that by Australia's Qantas Airways for seven Q400 aircraft, to be used by its regional airline subsidiary QantasLink. What was surprising was a lack of commitments for the all new C series, due to fly in 2013, or even a mock-up. It is forecasting a 6,700 aircraft requirement over the next 20 years for aircraft in the 100-150-seat range. However on paper the C series does look exciting and has to date 90 firm orders. 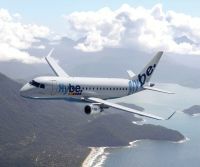 Flybe, the UK’s largest regional airline really did spring a surprise on the Monday with an order for a further 35 Embraer 190s with options for 65 and purchase rights for a further 40. The order flies in the face of the new Government’s ideas regarding railway development and probably means a major move of the airline into Europe. Embraer also announced orders with Air Lease 15 E-190s, Azul Brazil 5 E-195s, Linhaas Aereas Brazil two E-190s and US carrier Republic for 24 E-190s. Irkut, a Russian corporation best known for its combat aircraft (YAK and Su-30) is also getting into the commercial aircraft business and has under development the MS-21, a short to medium haul plane in the 150-210 passenger range. With deliveries planned from 2016 orders were announced with a number of finance companies. 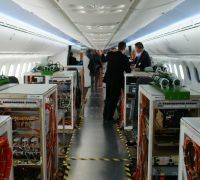 Mitsubishi organized a press briefing for their proposed regional jet during the show and said that the first flight would be in 2012. ANA has on order 15, as does Trans State Holdings, who operates services on behalf both United Airlines and US Airways. SuperJet International, a joint venture between Alenia Aeronautica, a Finmeccanica Company, and Sukhoi Holding, signed an agreement with Pearl Aircraft Corporation for thirty Sukhoi Superjet. Also announced during the show where orders with Indonesian regional carrier Kartika Airlines for 30 aircraft and Orient Thai Airlines for 12. The Sukhoi Superjet is a low wing twin engined fly-by-wire regional jet in the 75- to 95-seat category. The order book stands at around 280. August 2011, they will join three Bombardier Challenger 300s in the year-old Qatar Executive fleet. This was swiftly followed by VistaJet of Switzerland confirming a $277 million order for four Global Express XRS jets, including two with the new Global Vision flight deck, and two large cabin Challenger 605 jets. VistaJet CEO Thomas Flor in a press conference with Steve Ridolfi of Bombardier highlighted that the company is seeing strong demand across all its services and the new order reflected clients’ increasing preference to buy flight hours, rather than purchasing aircraft outright. Hawker Beechcraft (HBC) announced that SaxonAir, based at Norwich Airport, UK was acquiring two 400XP aircraft – one to be based at Norwich and a second it will manage from Edinburgh Airport. And in a salute to piston aircraft – the industry darling when the Icelandic volcanic ash cloud struck - HBC announced that its piston-powered twin, the Beechcraft Baron, has become the only aircraft in its class to be certificated for steep approaches into London City Airport. There was considerable networking and fine corporate hospitality being enjoyed at the Aviator, TAG’s Group’s stunning design adjacent hotel, which saw brisk business during the week. 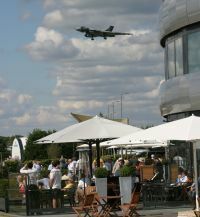 “It was simply the best place to be,” acknowledged Farnborough Airport CEO Brandon O’Reilly, trumpeting the hotel’s easy and convenient access between the hotel and the show site. TAG ran all its hospitality from Aviator during the week. “We’ve had a terrific response from the industry,” said Michael Helling, Aviator’s General Manager, whose own hospitality chalet built to entertain event managers, exhibition directors and PRs was also very well received. 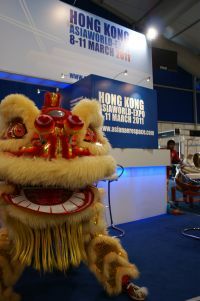 Among companies taking advantage of the corporate hospitality inside the hotel were CFM International, Bombardier, Diamond Aircraft, Masterjet, Raytheon and Reed Exhibitions/Asian Aerospace 2011 who hosted an Asian-themed lunch.